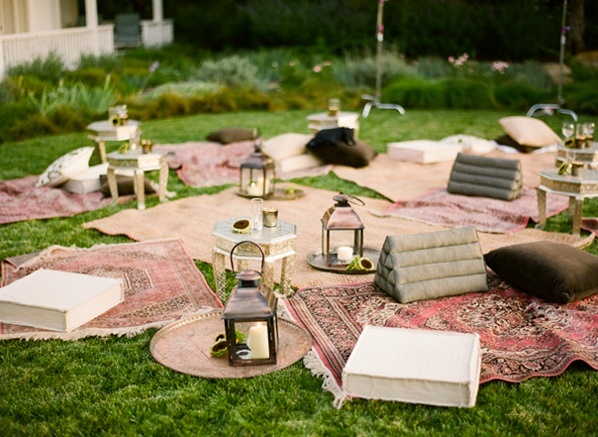 I think it would be lovely find a way to infuse a casual, yet elegant picnic vibe into a wedding. While the whole picnic theme seems a little too casual for what I have in mind I think a picnic rehearsal dinner would be delightful and this image shows exactly the vibe I would want. I love the colors, the textures and the little tables and backrests. It’s beautiful! Congratulations on getting engaged! And yes, this is adorable. I love it!